(3 p.m. EDT) -- Princess Cruises is doubling down on its culinary travel focus with an enhanced wine list across its fleet, featuring bottles chosen by one of the U.S.'s most decorated wine experts. The main dining room wine list -- over a year in the making -- now has 142 choices on it. The menu has been completely redesigned in a way that makes it easy for even occasional wine drinkers to find exactly what they like; white wines are described as "refreshing," light & mild," "crisp & tangy," "fruity and vibrant" and "rich & textured," for example. 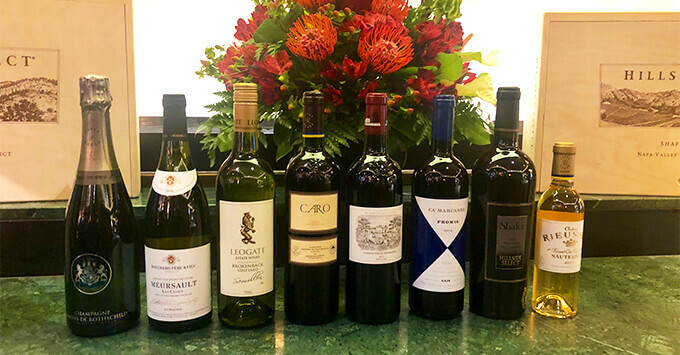 To develop the list, Princess Cruises brought in wine expert Doug Frost, one of four people in the world to have both a Master of Wine and Master Sommelier certification. At an event releasing the wine list, onboard Royal Princess today in New York City, Frost said the line gave him wide latitude to develop a wine list that would not only please different types of wine drinkers, but also reflect all of the ports worldwide where Princess sails. "I wanted to find interesting wines to reflect interesting places," Frost said. The new list includes some elite choices, such as a Chateau Lafitte Bordeaux that sells for $1,600 a bottle. But that's not the norm; a scan of the list finds most wines at a price point that shouldn't shock too many cruisers. "Sixty-six percent of the wines are $49 and under," Princess spokeswoman Negin Kamali said. A third of the wines cost less than $39 a bottle. 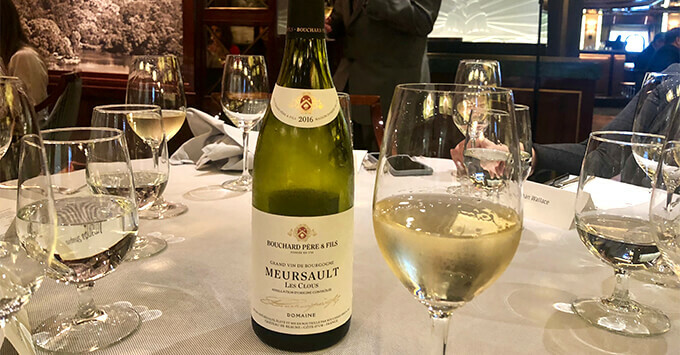 The focus on wine is a continuation of the cruise line's focus on culinary travel, shown to be one of the major interests of Princess Cruises passengers, Kamali said. Earlier this year, the line unveiled a series of culinary-focused shore excursions around the world, developed in partnership with Bon Appetit. Sample tours might include a tour in Sorrento, Italy that pairs three pastas with three local wines (plus a limoncello), or a tour in Buenos Aires where passengers make empanadas. Along with an interest in food comes more attention to wine; passengers want a breadth and depth of choices, at different price points. When the wine list remake began, the line focused on three different areas -- approachability of cost, variety of types of wine, and quality of the producers, said Bob Midyette, director of beverage operations. In Frost, Princess found an avid partner. As the wine expert described each wine during a tasting meal at today's event, he took great glee in describing his wine list additions, such as semillon from Australia, German rieslings and red wines from all over the world. "There needs to be very exciting wines at all price levels," Frost said.